The Taz Fabrication Hostage Triangle comes in two thicknesses to handle the lightest to the heaviest of loads! Includes shipping within the United States. TheTaz Fabrication Guardian Hostage Triangle makes placing your shot more dynamic. 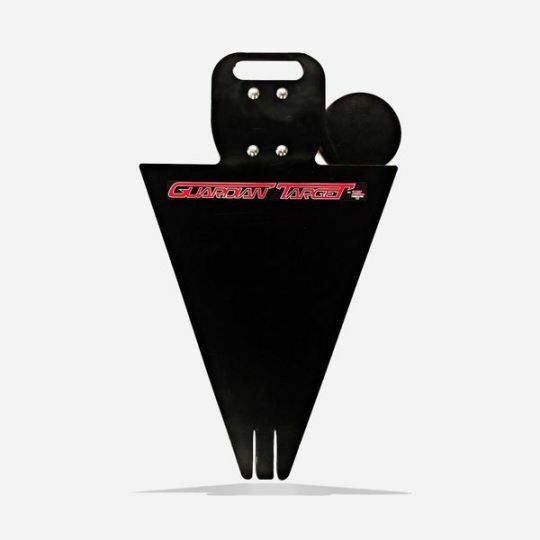 The Triangle comes with 3" and 6" paddles that can be easily changed. This hostage triangle is one piece of an overall system that gets you up an shooting fast. Combine it with the Guardian X-pod and you are all set. Compatible for any terrian. The light and compact design can be set-up in minutes. The stand folds up and will easily fit in a back-pack.